Your mindfulness art journey starts here. Art and mindfulness are intrinsically and beautifully connected. When we combine the warm awareness that mindfulness brings with the process of creating, we are able to achieve inner calm and focus that we can draw upon daily. 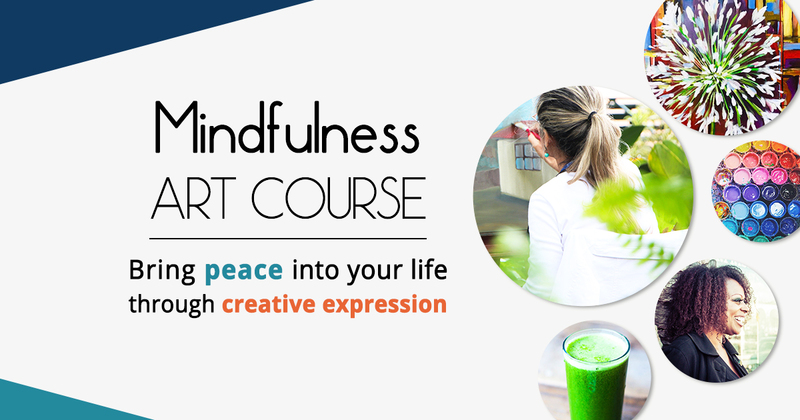 In this 3 Week Mindfulness Art Course we will explore, through creative expression, exciting ways to be more mindful. The course will include exciting insights into the benefits of mindfulness and help you establish your own mindfulness journey. During the course we will move between quiet mindful moments and playful encounters with acrylic paint and mixed media. The course will equip you with the basic practical skills required to easily access creative flow. These practical lessons will include: basic drawing, colour mixing and the colour wheel, basic intuitive painting techniques and how to incorporate mixed media into your artwork. You will have completed your very own painting by the end of the course. The course will take place at the Nicky Thomson Art Studio in Beaulieu, Kyalami. An authentic setting tucked away in a lush garden with abundant bird life and gorgeous sounds of the trickling stream near by. A nutritious and delicious plant-based lunch will be served at all three classes. No matter where you are in your creative journey this course welcomes absolutely everyone!